Happy Thursday babes! You can take the girl out of the Starbucks but you can’t take the Starbucks out of the girl. Or something like that?!! 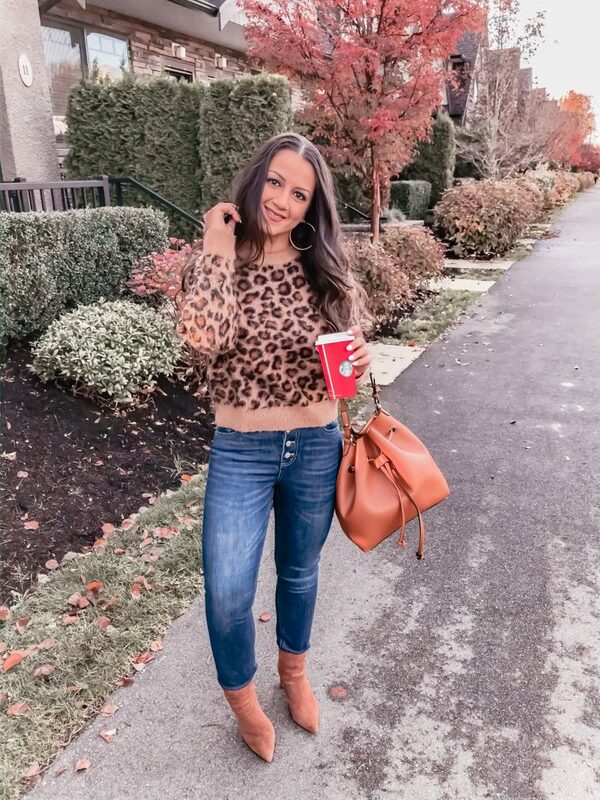 I am excited to share five guilt free Starbucks drinks you can enjoy anytime! Nothing worse (okayy a lot of things can be worse then this) than going to Starbucks with your gals only to have to feel like you can only get a tea. There are so many options that are super yummy and low on calories. 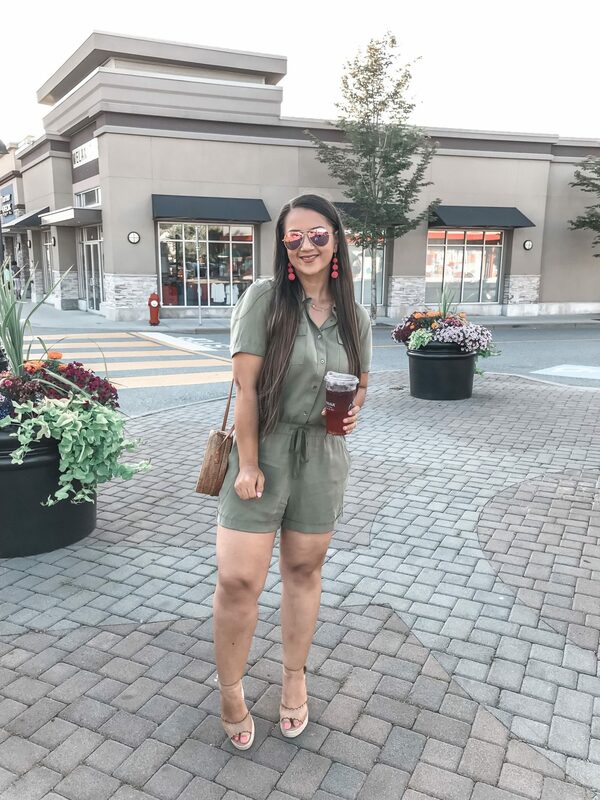 Before I get into that, I wanted to quickly share this romper from Loft with you. I never used to shop there until recently as I always found it a little bit pricey, but they always have sales and their clothing is so well made. 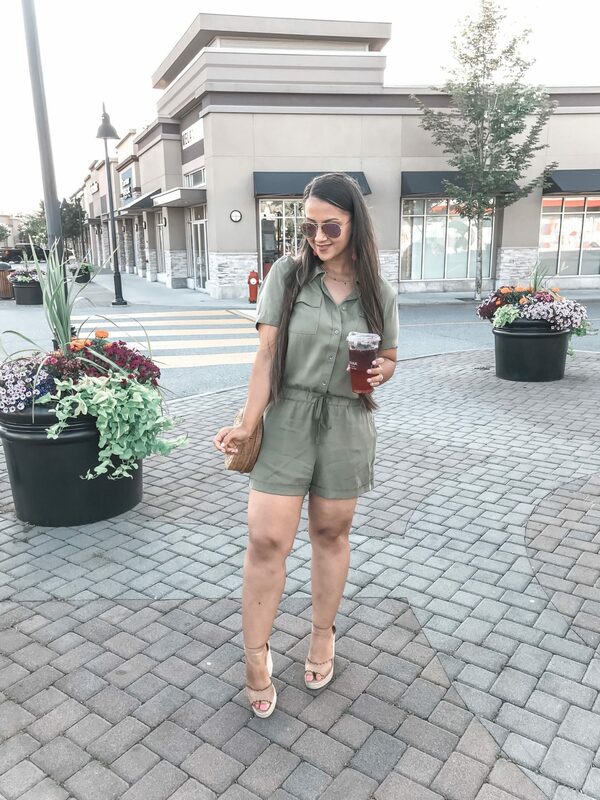 This cutie romper that is perfect for weekday dinner with bae, is 50% of right now! Its sooo comfy and feels like pj’s on. (#heckyes!) I am wearing a size medium but could have fit in to a small as well. What to order: Tall light coffee frapp with almond milk and mocha drizzle. What to order: Tall cafe misto in a grande cup with almond milk and 1 pump of sugar free syrup of your choice. What to order: Iced Grande Americano in a Venti cup topped off with Almond or coconut milk. 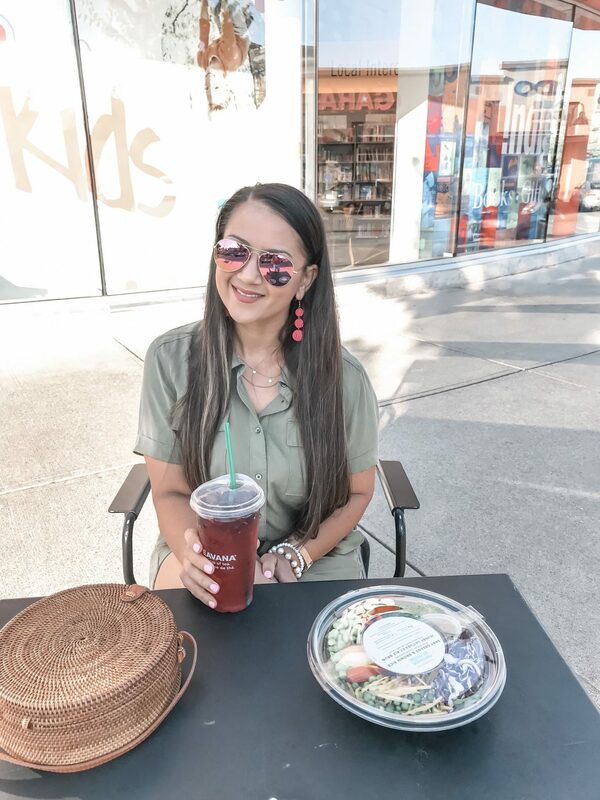 What to order: Venti very berry hibiscus & cool lime refresher combined with extra berries and light ice. I hope you enjoyed this post! What is your fave drink to get from Starbucks?